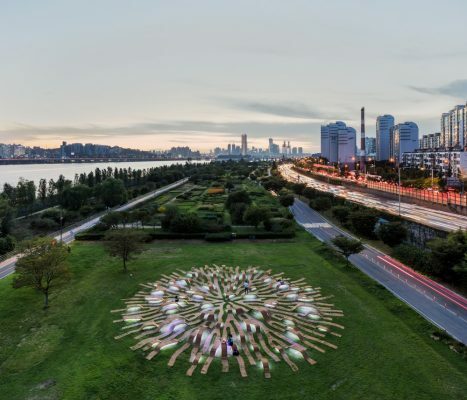 A reinterpretation of winning proposal in the Hangang Art Competition, a 30m diameter circle-shaped publicly-accessible furniture installed on grass in a park. 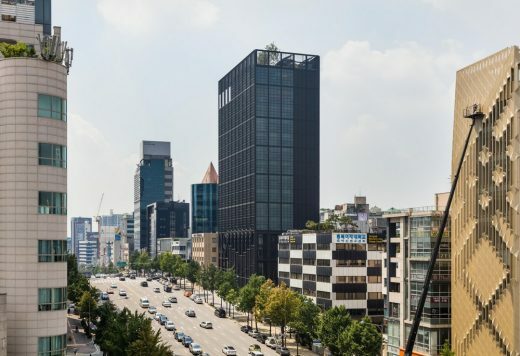 This new rectilinear building is located between the site of a spacious public park currently under development, and a business district of high-rise towers. 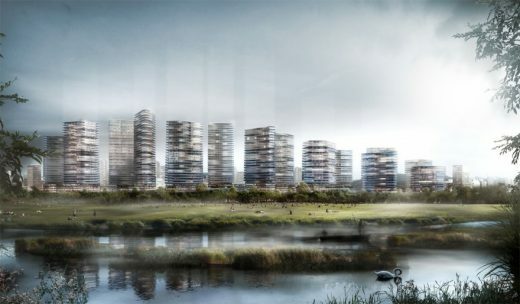 The site is located on the edge of newly built high-rise residential blocks and the small scale city fabric. 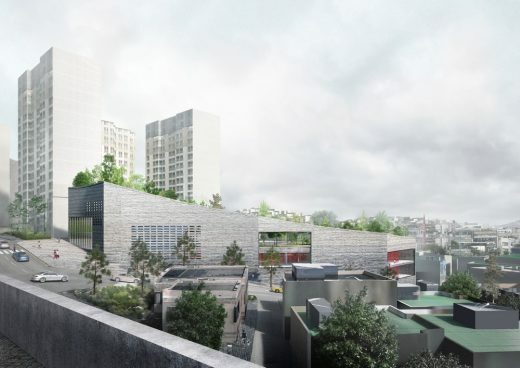 The Seoul Metropolitan Government (SMG) is planning to redevelop the Jamsil Sports Complex in Seoul, South Korea. 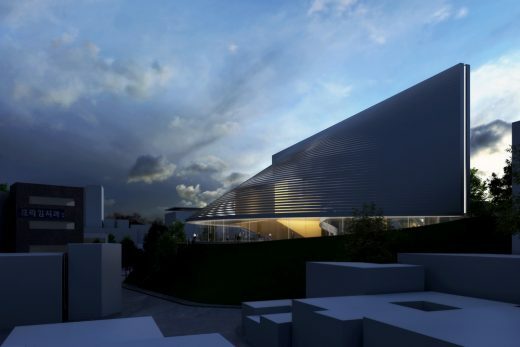 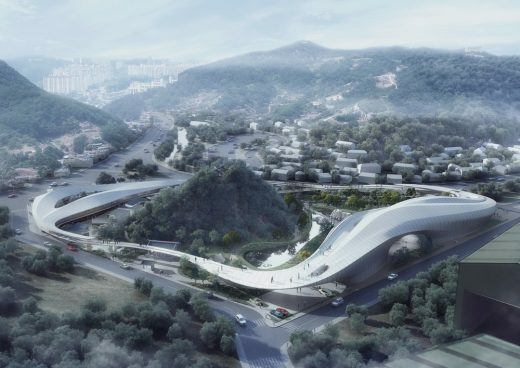 The project involves the redevelopment of Jamsil Sports Complex on 400,000sm of land. 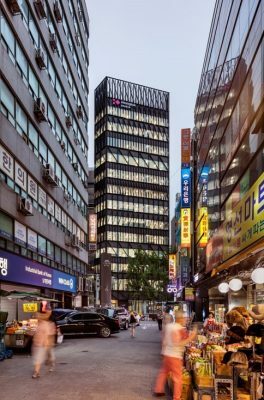 Shinsegae International, designed by Principal and Owner Tom Kundig, has won the inaugural WAN Tall Buildings Award 2017. 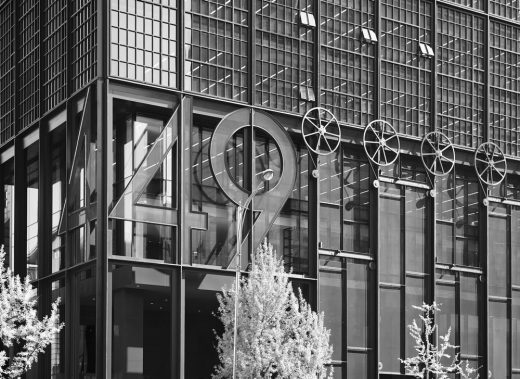 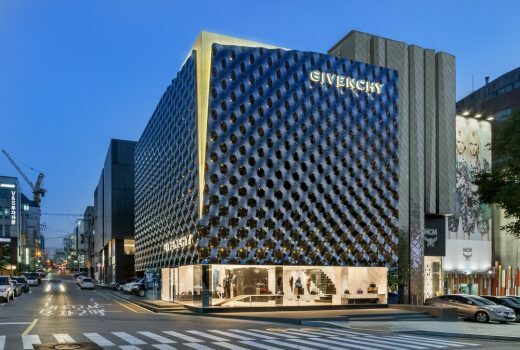 A building covered by a skin of dark coloured sheets of steel that changes with the light and rests on a glazed base revealing minimalist-style interiors: the new Givenchy Flagship Store in Seoul is a dynamic structure generating varying optical effects. Block R6 is a narrow parcel bounded by the planned Mountain Park—including Children’s Interactive Spray Park, Rail Road Museum, Outdoor Amphitheater, and Yongsan Station Esplanade—and the central park of the planned development Zone B3, adjacent to Hangang-ro. 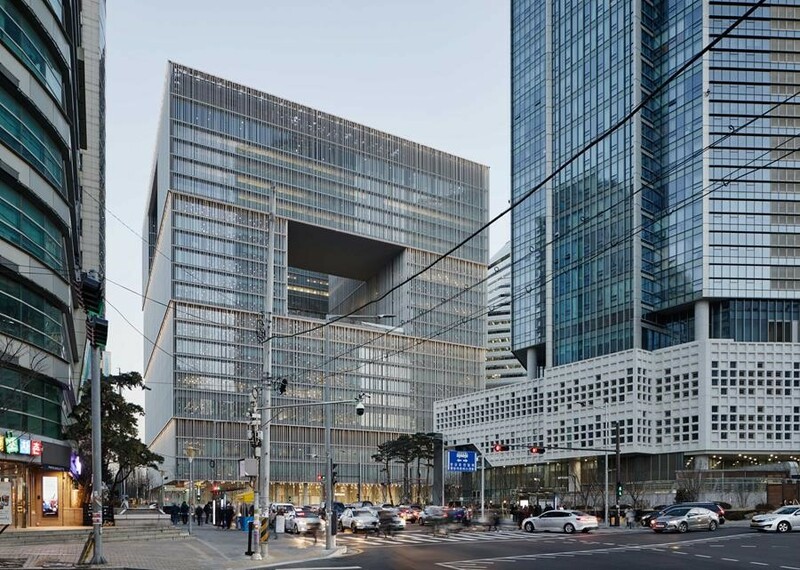 By placing the building to the south of Block R6, all units command great views and the building forms a gateway to YIBD from Hangang-ro. 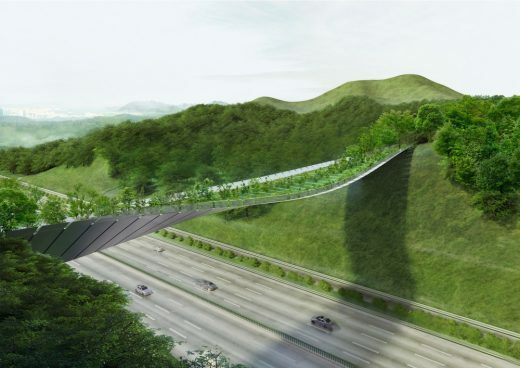 The Eco Bridge proposal is based on a simple and pure concept: to recreate the link that once existed in the current situation of the infrastructural void with a spatial structure that would be atmospherically reminiscent to a pictorial passage through the southern slopes of the two discontinued mountain peaks of Mt. 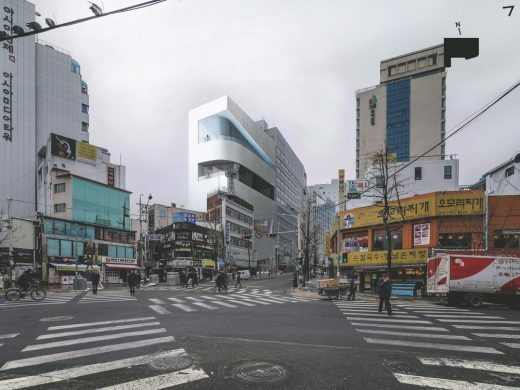 Umyeon and Maljukgeori Parks. 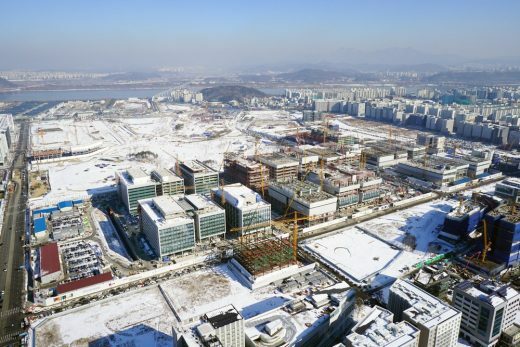 LG Science Park, the HOK-designed 11.8 million-sq.-ft. research and science campus for global consumer and electronics brand LG Group, is now three quarters of the way to completion. 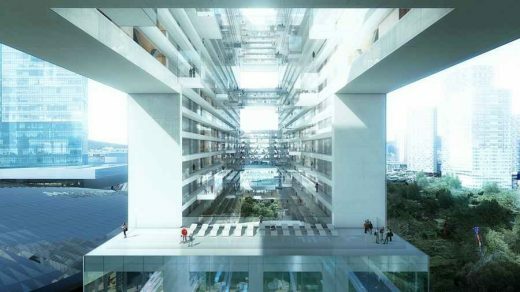 The next-generation campus will accommodate LG researchers from disciplines including electronics, chemistry, nanotechnology, display, fabrication, life sciences and new materials.